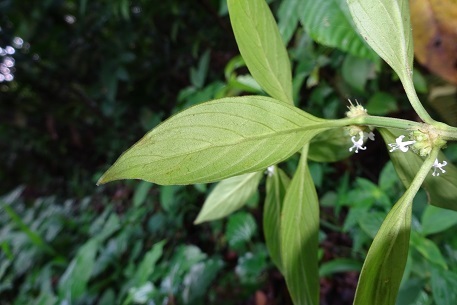 In the Singapore flora checklist published in 2009, there was a name Diodia ocymifolia (synonym of Spermacoce ocymifolia) that had similar appearance with Oldenlandia auricularia as shown in some websites. One of them was the Plants of Saint Lucia website. 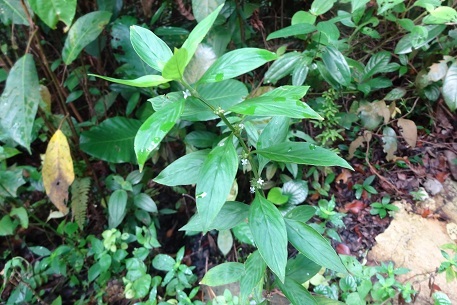 In the Australian Tropical Rainforest Plants website, there were 3 pictures --- 2 photos and one herbarium sample. 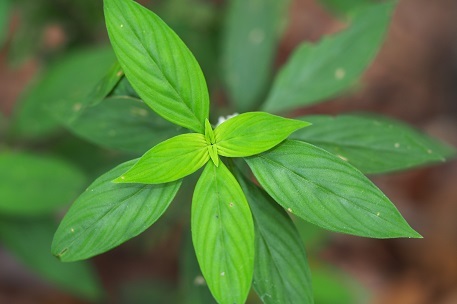 The botanical name was indicated as Hedyotis auricularia var. melanesica. One photo and the herbarium sample looked like Oldenlandia auricularia while the other photo resembled Spermacoce remota. 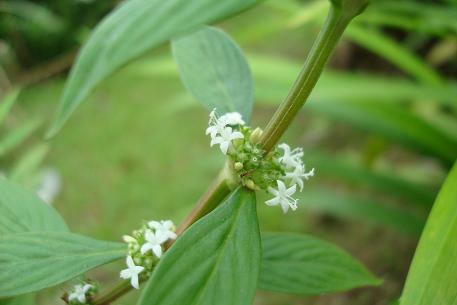 However, the name Hedyotis auricularia var. 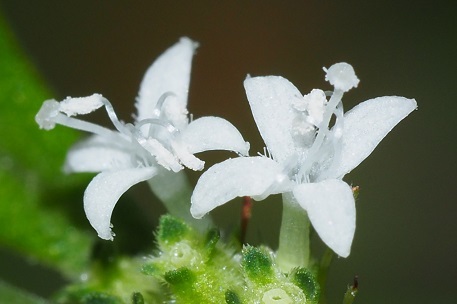 melanesica is now a synonym of Oldenlandia lapeyrousii according to the Plant List website. 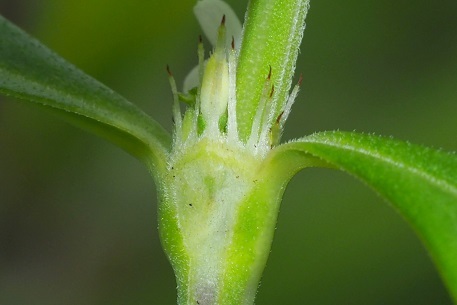 In the Hong Kong Baptist University website, the picture that associated with the name Hedyotis auricularia (synonym of Oldenlandia auricularia) also looked like Spermacoce remota. 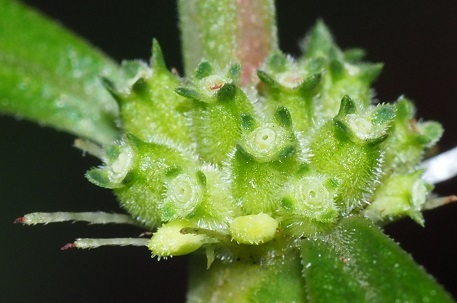 The set of pictures that aligned to mine when using the name Hedyotis auricularia is from Yi Shuen flickr site. In May 2017, I came across the real Spermacoce ocymifolia. 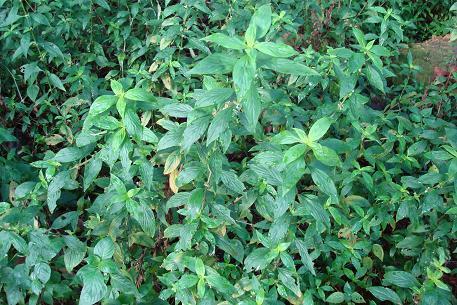 This helped to solve the mystery between Oldenlandia auricularia and Spermacoce ocymifolia. The key differentiating feature is their flowers.